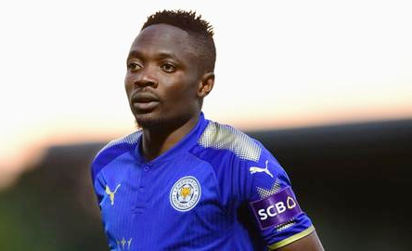 Former Super Eagles defender, Isaac Okoronkwo has told Ahmed Musa to follow in John Obi Mikel’s example and leave Leicester City to get regular football chance. Musa has been frozen out in Leicester and against the back drop of the upcoming 2018 FIFA World Cup, Okoronkwo who ended his career in Russia, urged the Super Eagles winger to change club. Okoronkwo added : ‘’I want to visit at least two matches out of three (at the World Cup). I hope that they will call me, as it was in the recent game in Krasnodar. By the way, I talked with the guys and, in particular, with Ahmed Musa . ‘’I tried to convince him that returning to Russia would be the right step. In Leicester he sits on the bench, completely lost the game tone. The post Follow Mikel’s example, leave Leicester, Okoronkwo tells Musa appeared first on Vanguard News.